Choose 6", 8" or 10" taper in a pale shade of green, blue, pink, purple, or peach. Edges are adorned in your choice of gold or silver wax paint & glitter. I hand-dye the beeswax in small batches to achieve unique colors. Each taper is beautifully hand-sculpted by shaping and dipping the delicate layers. No two candles look exactly the same. 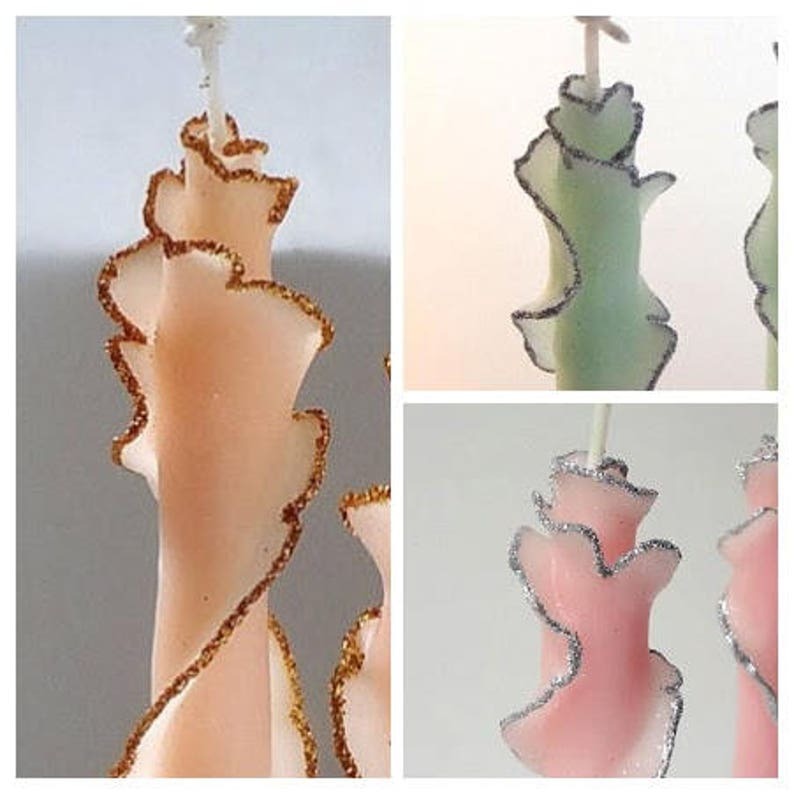 Photos show candles from previous orders. More colors are available than shown. What a wonderful experience it was working with Marcie on this candle. 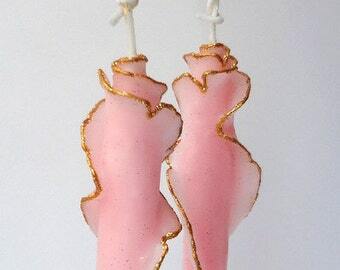 It was a collaborative effort that resulting in a masterpiece of a candle that will be the main focal point on the table for a cocktail party. I know that all of my friends will want to know where I got it!! !